I said, “What in the name of Sam Hill is that, and who said it?” So I immediately dispatched my research teams to try to find out who it was. I found out it was Buck Sexton who had said it, who is a former guest host on this program. And that led me to trying to sound the clarion call yesterday. And, lo and behold, I’ve got the audio sound bite roster here, and you know who’s in more sound bites than anybody else today? John Kasich. Anyway, the K Street lobbyists, the Republican consultants who are 0-fer — I still don’t think people have a grasp on what actually has happened here. A political neophyte with no staff, no professionals, has run rings around career professionals in a business that is exclusionary. They don’t let outsiders in. They don’t want outsiders in. They don’t let outsiders in and let them prosper. And Trump, he doesn’t have a campaign consultant, he doesn’t have a whole bunch of data analytics people. He’s got a spokesman. I don’t know what Lewandowski is, I don’t know what he does, but he does not have the traditional staff. These people are not just gonna sit there and let this happen, folks. I mean, the Republican establishment would consist of people like Boehner, who today endorsed Paul Ryan. The Republican establishment would consist of every campaign consultant that you see on Fox or any other network from the Republican Party. And they are not just going to sit by and lose this. They, in their world, in their minds, they come first, they are preeminent and dominant. They come before the party, saving themselves, protecting themselves, guaranteeing their futures, all of that comes before the party. Their positions in the establishment, their rankings, everything that defines them, everything that provides for them their self-worth derives and descends from their membership in the establishment. And that, all those accouterments, the power and the money, the income, the influence, all of that only happens if there is a party that they run. They enjoy all of those aspects whether the party wins or loses. They enjoy their incomes. They enjoy their influential lobbying positions on K Street. They have their consultancies, they have their elected offices. Whether the party wins or loses, they maintain everything they have. They lose all of that if they lose control of the party. They lose all of that. The party winning, therefore, is not paramount them maintaining what they have, like anybody else who would want to protect what they’ve got. And so Kasich is the last best hope they’ve got. And if you knew how to listen last night, you could have concluded this yourself. No Kasich should not get out. Kasich should stay in. Kasich’s gonna win in the Northeast. Kasich is the exact kind of nominee this party could have used in the beginning. It was incredible. I listened to this and I knew exactly, my instincts when I saw that little headline on CNN yesterday: Future of GOP hangs on Ohio. I know exactly what that means, and I know exactly what these people are prepared to do to hang onto what they’ve got. I could draw any number of analogies for you to try to make the point, but I hope I don’t even have to do that by the time I finish with this today, because to me it’s not even arguable. It is clear as a bell. They don’t want any part of Trump winning this thing. They don’t want any part of Ted Cruz winning this thing. If they do, if either Cruz or Trump ends up being the nominee or if there’s some kind of an alliance between the two at some point, they’re facing the prospect of losing it all, their reputations, their influence. I mean, it’s dire as far as they’re concerned. Imagine any other private club that you know, and you know who the members of the private club are, and you know their self-esteem is very high. They run around feeling very full of themselves. They’re proud of themselves. They’re very special, select few members of the club. Imagine somebody coming in and taking over the club: Somebody that’s not a member. Somebody that’s never been there before. Somebody that wants to totally shake it up. Somebody who knows the club is the reason for all these things going wrong. This is dire. And Kasich is it. Kasich is the last link they think they’ve got — they’ve got to get to an open convention. They’ve got to get to a convention that’s contested. They’ve got to see to it that neither Cruz nor Trump win this thing outright before the convention, and they’ve got to finagle a way to make sure — the magic number’s 1,237, and the speculation is, well, if Trump’s at, say, 1,150, they can’t deny it to him, too many people have voted. Folks, the people, the number of people who have voted is irrelevant to the people I’m talking about. That doesn’t matter a hill of beans. They don’t listen to you in the midterm elections; why should they listen to you during the primary season? It’s not gonna change now. You voted for Trump, you voted for Cruz, doesn’t matter, you voted the wrong way. If they can make sure, if they can ensure that nobody that is currently running has a shot at the nomination prior to the convention, I’m telling you, do not think it’s automatic that Trump or Cruz is gonna get the nomination simply ’cause they got close or what have you. This is not what these people want. It’s their convention. It’s their party. They wrote the rules. Trump and Cruz are still outsiders. You ever stop and think who’s gonna write the party platform here given what’s happening now? The nominee normally has a fundamental, major primary role in writing the party platform. Don’t know who that’s gonna be yet. Not that the platform is ever consulted after it’s written, but it is a power play process to get it written and who gets to participate in that. It’s all about that. No, it’s not. They have not accepted it yet. They will not accept it. They don’t want to accept it. They don’t see any future for themselves in that arrangement. And you wait. This is what everybody thinks. You know, I’m watching Fox last night, and, look, I know this is the common-sense play. The analysis is, it’s Trump more than likely, next Cruz, but outside of that, there’s nobody that has a prayer. Right now here’s the conventional wisdom. The conventional wisdom is the Republican race is over. We know it’s either gonna be Cruz or it’s gonna be Trump. Nobody else has a chance, nobody else has a prayer. You cannot take the votes away from Trump. You can’t deny him the nomination. If he shows up, however short, if it’s 75 delegates short, 50 delegates, 150, you can’t take it away from him. We had Republican establishment types promoting John Kasich on CNN and on Fox last night, because John Kasich represents the last stand, the last chance they’ve got. Here it is. Let me synthesize this. The wise men and the smart money says that there is no way that the powers that be will deny Trump or Cruz once we get to Cleveland. They just won’t do it. It can’t happen. It won’t happen. Too many people will have voted. And I’m sorry, folks, I don’t think that’s automatic because of the way I know the people in the Republican establishment that we are all talking about here. This crowd is very stubborn. They have not come to grips with what’s happened to them here. They by no means have accepted that the top two delegate getters are outsiders and are not part of the Republican Party ranking establishment in any way. They have not come to grips with that. And the reason they haven’t come to grips with it is that they don’t want to. This operation is theirs. It has been their life. They trained for it in college. They trained for it with family connections. They trained for it, they got involved in it, and they climbed the ladder within it from the moment of young adulthood, those that wanted to be in it that early. Some have been recruited, of course, over the years because they’ve recently acquired a lot of money and therefore have influence. But for the most part these are lifers. They fear losing their virtual professional existence. They fear losing their self-worth, the thing that gives them swagger. The thing that validates their success is their position in this club, the establishment, the Republican Party, and in fact the entire Washington establishment. They’re not just gonna let some outsiders come in and take it. It just isn’t going to happen. The thing to keep in mind here, these people to whom I’m referring, they have all of this whether the party wins or loses elections. That’s the key. They have all of the perks and the power, the lifestyles, the connections, even if they lose elections. As long as they run the party, as long as they run their part of the, quote, unquote, establishment. They fear losing their standing in this club more than they fear the party losing the presidency or any other election. And let’s talk about other members of the establishment. Let’s talk about other conservative media types. How about the people who — and this is not personal. But how about the people whose very lives are devoted to the intellectual pursuit of conservatism, supposedly? They may have magazines. They may be at think tanks. They may be policy aides. They might be legislative aides. But their existence is to continue to write about the superiority and the preferability of conservatism. That’s the role they play in this whole arrangement. That’s the reason for their existence. That’s what gives them their swagger. They are considered leading opinion makers and opinion leaders. They are considered superior intellects when it comes to the intellectual pursuits of conservatism. What is the reason for their existence if Trump wins the White House? The think tank people, what would be the point? Trump has not welcomed them, they haven’t welcomed Trump, Trump is not going to be identified as a movement conservative who is going to be seeking the advice of these people. You think they’re not paranoid? Their whole lives have been rooted and based on that identity. They’re the go-to guys to explain the conservative view of the Middle East. They are the go to guys to explain the conservative view of Putin and the Ukraine and China and whatever. And now they’re on the outs because nobody will be interested. Theoretically. Now, they could make a move here and try to sidle up to Trump if and when the day comes, but they don’t want that to happen. They’re scared. I mean, their identities, their self-worth, they’re just not going to peacefully let all this happen. That’s why John Kasich, that headline yesterday, I think it happened to be right: The fate of the GOP hangs on what happens in Ohio. Kasich hanging on — by the way, he is one of those people. RUSH: So the gauntlet’s been thrown down. Trump and Cruz are vowing to barricade Kasich from the convention. They know what’s going on here. They know what’s lurking. They know what’s being conceived and strategized. They know the sinister desires of those who are soon to be on the outs here if things continue to play out. “No, no, it’s not in the media, but you have got everybody, I mean, you blew it up to this.” And all I said was, in talking about Kasich and the future of the GOP hanging on Ohio, and the possibility we get to a contested convention, and who runs the contested convention. Folks, I’m here to tell you, if you don’t think this is a possibility, you do not yet fully understand who we’re dealing with here. The whole purpose for them in a contested convention is to get somebody other than Donald Trump or Ted Cruz. There’s no other reason for one. A contested convention, as far as the establishment, they don’t like either of these guys. They don’t like Cruz; they don’t like Trump. And yet they’re pushing for a contested convention. Big whoop. A contested convention simply means you don’t have a winner coming out of the primaries, so you have votes. First ballot, second ballot, third. Brokered is an entirely different thing. And that’s what they ultimately want to do. They don’t want to leave this up to votes, certainly not of the voters. They want the grand pooh-bahs and the power brokers at the convention’s votes to determine the nominee. Stop and think for a second, if you think I’m all wet on this — and I realize many of you do. You think I’ve gone overboard in analyzing who these people are. Don’t doubt me on this. Do not doubt me. I’ll come up with an analogy or two if I have been unable to persuade you so far. But look, we have Trump; we have Cruz. Theoretically, if things hold, neither of them is gonna show up in Cleveland with 1,237. That could change, but as of now, Cruz would have to have an incredible run from here on out and Trump would, you know, have to — if Kasich stays in there, he’s gonna take delegates from somebody. Cruz is gonna take his share of delegates, too. Really? Then why have a contested convention? If you’re gonna give it to the whoever shows up with the most delegates, even if they’re short of 1,237, if that person’s gonna win it, then what’s the big deal? The big deal is it will be an opportunity for the establishment boys — and there’s some women in there, too, by the way — to get one of theirs in there. And yesterday I suggested it could be Jeb. Jeb’s who they had their early fantasies about. Jeb started out with $115 million. Jeb Bush back on December 14th, December 12th of 2014 said the strategy was to win the nomination by winning the general, by losing the primaries. Remember that? He’s gonna win the general by losing the primaries, meaning he was gonna swamp everybody with money. He wasn’t gonna have to kowtow to the Republican conservative base. Meaning he wasn’t gonna have to kowtow to guns, he wasn’t gonna kowtow to immigration, he wasn’t gonna kowtow to social issues, he was gonna snake right past. Well, that would be how he does it. Contested convention turns into a brokered convention, and the establishment boys say, “Well, you know what, neither Trump nor Cruz got close enough, it’s wide open man,” and they engineer their — So I said that yesterday. That’s when I got the note, “You blew things up.” But I didn’t know, and nobody else did. Here’s an example of it. It was on CNN. America’s Choice 2016, Anderson Cooper talking with David Axelrod and The Forehead, Paul Begala, about the Trump presidential campaign, and they got around to talking about this. AXELROD: I disagree with you that the establishment will never give up. I think if Donald Trump is close, if he’s in the 45 to 50 range, I think they’re gonna resigned to the reality of this thing. To deny a guy who’s right on the doorstep of claiming the nomination, you’d rip your party apart. Can you imagine that convention? COOPER: Rush Limbaugh was saying that Jeb Bush is gonna come back, that he’s gonna be the one. BEGALA: Many Republicans believe in they nominate Donald Trump it will destroy the Republican Party. Others believe that if they fight the nomination on the floor, it will destroy the Republican Party. No, that’s not the concern. Ripping the party apart is not the concern. Well, it is, but secondarily. It’s personal. It’s what they would lose. And all I’m saying is they’ll take advantage of every opportunity they can to hold on to what they have at the moment. You can see it. You can see it when you hear them talk on TV. Whether they actually do it, Axelrod says down at the nip and tuck time they wouldn’t do it, but I guarantee you they’re thinking about it. They’re dreaming about it. They’re strategizing about it. They’re making sinister plans even as we speak to figure out how to hold on to what they’ve got. It’s big, folks, it’s huge. We’re talking about an existence that 99.999% of the American people will never have, never enjoy, will never experience. You just don’t throw that away. You just don’t let it go without a fight. HAUGLAND: No, I don’t think that’s the case once, you know, it would just be understood, we have a problem with the media — he-he — unfortunately. That’s a problem. The media has created a perception that the voters will decide the nomination, and that’s the conflict here. We’re just one of the political parties. Political parties choose their nominee, not the general public, contrary to popular belief. Well, then what is all this about? Is this just a scam for money to be spent and earned? Is that what this exercise is? Is the entire primary process nothing more than a fundraising and fund allocation effort? It’s how the party gives back to the media with ad buys. It’s how the consultants earn their money by being hired by the candidates who then raise the money, the consultants devise the ad buys from which they get 15%, is this how party members stay wealthy and stay connected while creating this illusion that the voter outcome actually determines things here? SCHIEFFER: All that says is that that makes it a possibility that they can block Trump from getting a majority of delegates before they get to the convention. I think Paul Ryan will wind up as the nominee if they get it to the convention. I would bet that what would happen then, if you had Paul Ryan as the nominee, he would put John Kasich on the ticket as the vice president. No Republican has ever won the presidency without winning Ohio. RUSH: Now, here’s a guy, Schieffer, he knows the establishment, he pals around with them. Even the Republicans, they all know each other. Gotta take a break, but we will review this when we get back. RUSH: Very good. You remember that name, Curly Haugland. He was the guy we talked about yesterday, North Dakota. He’s the guy who said is that delegates are not bound to vote the way their voters did on the first ballot. And he’s out there still talking. RUSH: It’s a Politico story, but that doesn’t make it untrue. In fact, it is true. “Top Conservatives Gather to Plot Third-Party Run Against Trump — Three influential leaders of the conservative movement have summoned other top conservatives for a closed-door meeting Thursday in Washington, D.C., to talk about how to stop Donald Trump and, should he become the Republican nominee, how to run a third-party ‘true conservative’ challenger in the fall. “The organizers of the meeting include Bill Wichterman, who was President George W. BushÂ’s liaison to the conservative movement –” I never heard of the guy. Ah, I shouldn’t have said that. Doesn’t mean anything. I didn’t know W had a liaison in the conservative movement. When I needed to talk they just called here. Not a liaison. Don’t anybody misunderstand this. I didn’t mean anything against him. I just didn’t know there was this position, that’s all. When I said I never heard of the guy, I mean I didn’t know that W had a liaison to the conservative movement. That’s all I’m saying, okay? “The meeting is scheduled for Thursday. … One person involved in the gathering described it as in the ’embryonic’ stages. ‘ItÂ’s not like thereÂ’s a royal grand plan thatÂ’s going to be unfurled,’ this person said. ‘People arenÂ’t giving up on the Republican Party yet.’ … Fischer, in 2012, helped bring together a group of more than 200 conservatives from across the country to unite around Rick SantorumÂ’s candidacy. An event in Houston he put together raised $1.8 million in a day. So it looks like these guys are committing themselves to a third-party unless they come up with magic bullet strategy here to stop Trump. But that puts them right in line with the establishment, which is trying to stop Trump. I’m telling you, folks — I’m worried about boring you by repeating things over and over. I’m telling you, I know what these — let me do it with the sound bites. I mean, enough of that. Let’s go back to sound bites here. I want you to rehear Bob Schieffer this morning on CBS with Gayle King. ‘Cause they’re talking about this. Talking about Kasich staying in, Kasich, the last great hope of the Republican Party. That’s why it was all hanging on Ohio last night. Now, you gotta understand, Bob Schieffer is establishment. The establishment is made up of people of both parties, made up of accredited members of the mainstream media, and there are conservative media people in the establishment. It’s not just elected officials. It’s not just lobbyists. It’s the entire political class in Washington. But not everybody in Washington’s a member. Not everybody in politics in Washington is a member. It’s a closed club. It’s not something that you get into by virtue of merit. You don’t climb the ladder of success in whatever industry you’re in and get noticed by the establishment and then they welcome you and say, “Hey, why don’t you come join.” It doesn’t happen that way. It’s about things that are much deeper and personal and things that are in common. It’s kind of like old money versus new money. The old-money people who have inherited their money, great wealth from back in the day, like the railroad people and the cash register machine people, like the Vanderbilts and the Gugelmans, pick your name, Pierponts, John Pierpont Morgan. They hate new money because it was earned by virtue of work. And that means working class. Do not doubt me on this. The blue-bloods, old money, inherited wealth from way back long ago, the current practitioners, the main thing they do every day is start sipping gin and tonic at 4:30 every afternoon. But they’re old money. And if you’re new money, if you’re a tech entrepreneur, if you’re a sudden billionaire you oftentimes are not admitted in the old money club. Well, yeah, it’s phony, but it is what it is. The political establishment is much the same kind of structure. So you have media people in it, and the establishment has its own rules. For all we know, the agreement that the establishment has been operating under for the last 10 or 15 years is that the Democrats are gonna be dominant for this period of time or whatever, but it doesn’t matter. My whole point is, the Republican members of the establishment profit and prosper whether the party wins or loses, which is what they don’t want to give up. As long as they maintain their positions, as long as they have their contacts, their networks, as long as they are accredited, approved members, every benefit accrues to them. Their turn to win elections will come down the pike. But it doesn’t matter; they still have access to the things that provide their standard of living whether their party wins or loses the White House. Remember at the very outset of the Tea Party and all these candidates sprung up in the primaries that the establishment hated, like Sharron Angle in Nevada and Christine O’Donnell in Delaware, they will routinely opposed, the establishment wanted no part of them. But not for the reason that you think. At that point the Republicans wanted to win the Senate because it was their turn to hold the chairmanships of the committees. The way to look at the Senate is, you own and are in charge of one one-hundredth of the federal budget. And if you run the committees, then you have a leg up, you have even more power in how that money is spent. And how the money is spent can determine in large part how much of it comes back to you, in any number of ways. These are the things that the establishment just doesn’t want to give up. They don’t want to let Trump and his crowd run in and all of a sudden take over stewardship of the party. It’s not in the cards. That’s why they’re so shaken here. RUSH: Okay, now, seriously, where is that coming from? Of everything you have heard, here’s Bob Schieffer, retired CBS News on CBS This Morning speaking confidently, assuredly, knowingly, “Yeah, I think that if we don’t have to a nominee by the time we get to the convention, I think you’re gonna see Paul Ryan wind up as the nominee.” Where the hell is that coming from? Well, we know that Boehner put his name out. Boehner said, hey, I know I’m retired, but I’m gonna raise my hand, I’m nominating Paul Ryan to be president. Ryan said, I don’t want it, I don’t want any part of it. Naturally he would say that. But where is this coming from? In what universe — who in the world — like last night on TV, nobody was talking about this last night on TV. ROVE: There’s something to the multicandidate theory. We have a bunch of western states where Ted Cruz is probably likely to do well. But we got a lot of Northeastern states where he hasn’t been doing well, where John Kasich has done well, gets us to an even more contested convention. In chaos is opportunity for the little guy. RUSH: Kasich being discussed here as viable? He’s won one state with what, now, a hundred delegates? And we’re speaking here of his viability in Northeastern states? RUSH: Let’s go back the audio sound bites, continuing to make the point. Here is a montage furthering my point. Scott Pelley CBS; Sheppard Smith; Marc Thiessen from the AEI; Republican consultant and strategist Mike Murphy; A.B. Stoddard; David Plouffe, who ran Obama’s campaign; Steve Schmidt, who ran McCain’s campaign. Do you notice these guys, win or lose, they’re always back the next election? And Lisa Stark of Al Jazeera. They’re talking about Kasich’s primary win in Ohio. Listen to this. PELLEY: In Ohio it was Kasich at the bat, and he did not strike out. He keeps his hopes alive. SMITH: Big news of the night. John Kasich has won. This is the one that means the Republican race will go all the way to the convention. THIESSEN: Donald Trump came this close to putting this whole thing away, and Kasich stopped him. MURPHY: Kasich is very electable in a general election. STODDARD: He has the best numbers against Hillary. PLOUFFE: Kasich would be the strongest candidate. SCHMIDT: Kasich is down to the final three. Can he be the character and temperament contrast to Donald Trump, and can he carry that campaign out? STARK: When Governor Kasich finished speaking there was a huge flow of confetti, red, white and blue confetti. It reminded me of what happens at the end of the conventions after they pick a presidential nominee. RUSH: This is the only primary he’s gonna win! He had 30 what some odd delegates, if that, going into this. It was Mike Murphy who said Kasich is very electable in the general election. Folks, do not doubt me on this. When I saw that headline yesterday, that’s why it became the focal point of yesterday’s program. “The Fate of the GOP Hangs on Ohio.” It’s right here in this bite. Steve Schmidt, “Kasich, he’s down to the final three. Can he be the character and the temperament contrast to Trump? Can he carry that campaign now?” Come on. Is everybody delusional, including Kasich himself? Last night Berea, Ohio, that’s the Cleveland Browns training complex, by the way, is located in Berea. Here is some of what Kasich said last night. KASICH: Tonight we arrive. We went to a restaurant. When we walked through, people started to cheer. My reaction? Please don’t do that because you’re gonna make me cry. My father carried that mail on his back, and his father was a coal miner. And in my mind’s eye it’s the need to forget the politics. That widow who was married for 50 years who no one calls anymore, you want to change the world? You take her to dinner on Saturday night. She’ll wear that dress she hadn’t worn in six months. You know what? Look, this is all I got, okay? My father was a Democrat all of his life. I’m getting ready to rent a covered wagon, gonna have big sail and have the wind blow us to the Rocky Mountains and over the mountains to California. KASICH: Let me tell you, neither Cruz not Trump can win the general election. You know, they can’t come into Ohio with the philosophies they have and win. You can’t win Ohio, you can’t be president. Nobody’s gonna get enough delegates to win at the convention. Everyone’s gonna fall short. And that was what was so big about Ohio. I’m not out to stop Donald Trump or stop anybody else. By winning yesterday in Ohio, I’ve dealt him a very, very big blow to being able to have the number of delegates. RUSH: What the hell are you talking about? What do you mean, “I’m not out to stop Donald Trump or anyone else” and then, “by winning yesterday I’ve dealt him a very, very big blow.” We’re stuck in the middle of a bunch of people here who are truly delusional. Now, we go back to the Fox News Channel, their election coverage last night, Dr. Krauthammer is seeing this clearly. 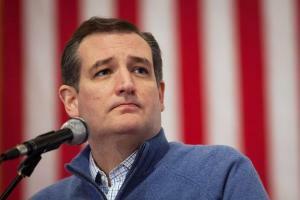 KRAUTHAMMER: Cruz is a true blue conservative. Some would say too conservative. And that might hurt him in a general election. Trump is a populist, so the Republican Party’s gonna be decided whether it wants to continue to be the conservative party or whether it’s gonna take a chance with populism. RUSH: Krauthammer seeing it clearly, it’s one of these two guys. Krauthammer all night long was saying it’s delusional to think it’s not gonna be Trump, it’s not gonna be Cruz, it’s gonna be one of those two guys or else you’ve got chaos that you can’t believe. But Cruz is true blue conservative, some would say too conservative, might hurt him in the general, whatever. Look, they’re not happy out there. They’re not happy with Cruz. They’re crazy not happy with Trump, but some of them can read the handwriting on the wall and realize what’s what. Others are stuck. Can you believe, I told you, a guy that wins one state is now being treated — I told you yesterday this was going to happen. He’s gonna be treated like all of a sudden the most important guy in the race. And it’s happening before your eyes. RUSH: Here’s James, Lima, Ohio. Great to have you, sir. Hello. RUSH: Good, good, good. Thank you much. CALLER: Hey, my point was, and I’ve been watching Kasich a lot, and I saw him on Hannity the other day, and he’s just, to me he seems delusional. The only thing I can garner from that is there must have been a lot of people behind the scenes making him a lot of promises. RUSH: Well, I don’t know about — yeah. I think, A, he doesn’t need that. He’s self-sufficient in this regard. But I do think that he’s aware now that people are gonna have a lot invested in him, from the establishment side. I don’t think there’s any question about it. Again, folks, I’m not saying it’s going to succeed. Don’t misunderstand me. I’m not warning you of some giant secret conspiracy where they’re gonna be able to steal everything away. I don’t think they’re gonna succeed at all. I’m just warning you what they’re thinking and what they may try. And who knows, they may endorse this third-party bunch privately and secretly. Remember, these people, if they have to lose elections to maintain their positions in this club, that’s fine. In 2010, 2014, it’s easy to spot. That’s why you’re hearing some of them say that they would vote for Hillary before voting for Trump or Cruz. Those two guys can’t win as far as they’re concerned.